← Monday Question: Is There A Perfume That Has A Special Meaning For You? 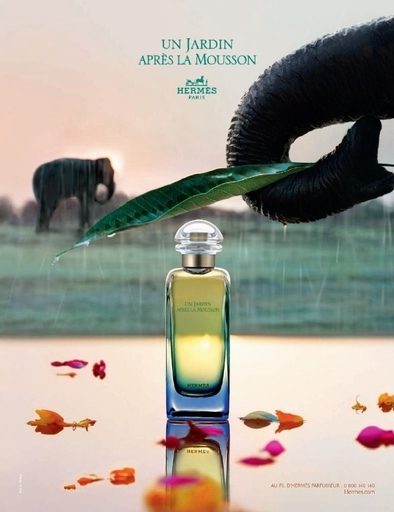 Un Jardin aprés la Mousson, a garden after the Monsoon, is a creation by Jean-Claude Ellena for Hermes from 2008, the third in the Jardins series. The notes include cardamom, coriander, pepper, ginger, ginger flower and vetiver accord. I like to have complete sets, so when there are fragrance series like the Voyages by Dior I recently reviewed or the Jardins, I am wont to strive to smell them all, for the sake of completing the set, even if I am not primarily interested in the concept of a scent. This may be a good or a bad trait I have, what it has invariably led me to were surprises. I did not expect the last of the Dior series that I tried – Escale à Portofino – to be the one I most liked, I just wanted to complete the set. I remembered vaguely having read about melon, aquatic notes, spices. Not something I would seek out, but it being an Ellena creation, what could go wrong? Right? Upon first sniff I was not immediately delighted with Jardin aprés la Mousson. I am not a big fan of melon, and this one smells like melon gone over ever so slightly mixed with cardamom, a cool spice with a citrus twist. So I am glad when the melon starts to fade slowly, to be replaced by a warm, watery, somehow reedy smell that combines cool spices and vetiver. If not my personal favorite, Un Jardin aprés la Mousson is the most interesting and challenging and plain weird of the trio. Or maybe of all of Ellena’s oeuvre as I know so far. This is a fragrance that makes you stop and sniff and ask “What is that?” instead of immediately falling into a category like “Ah, citrus cologne!” or “A fig perfume.” like the two others in the line could be easily, if reductionistically (not sure this is an actual word, but it sure sounds good! ), quantified. 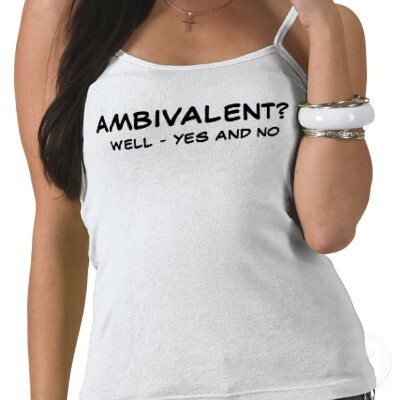 Its main virtue for me is its ambivalence. I am attracted and repulsed in equal measures. I want to get rid of that gone over melon and at the same time cannot stop sniffing my hand. I do not enjoy aquatic notes, yet here I love the waterlogged transparency that it conveys. I am not exactly a sucker for vetiver, here it is oddly compelling in its grey-greenish, swampy-boggy and simultaneously dry grassiness. It is a perfume of contradictions, of simultaneously existing antagonists with neither one winning nor cancelling the other out. Un Jardin aprés la Mousson exists in a state of high tension because of these antagonistic forces, and so do I when wearing it, because of the ambivalent feelings it evokes. Relaxing it is not. Interesting? Oh yes! And who knew Ellena could do weird? Image source: imagesdeparfums.fr, packerranter.com, some rights reserved, thank you! This entry was posted in Floral, Fragrance Reviews, Fruity, Hermès and tagged Cardamom, Fragrance, Hermes, Jean-Claude Ellena, Perfume, Review, spices, Un Jardin Apres Le Mousson, Vetiver. Bookmark the permalink. I too have an ambivalent relationship with melon and vetiver notes so I can imagine just what you are experiencing with this scent. It all depends on the composition as a whole and this certainly sounds like an unusual one. I definitely think weird is a positive thing. It’s the word that popped into my head the first time I sniffed Mitsouko and that turned into love. At the very least, weird is interesting, which is more than can be said for a lot of new releases. Your review is also a lesson to try perfumes that you may discount just from reading the notes. It’s true you never know what might surprise you, even it’s not exactly love. I’ve never seen that ad with an elephant, it is great! Mousson is my favorite “jardin” so far. I’ve been meaning to seek out reviews of this Jardin, as I have seen it at a certain shop on sale (no tester), and am considering whether or not to ‘risk’ purchase. On balance I think I will, so thanks! I don’t mind melon on very hot days, and I love vetiver. Lately I’ve been layering soft fruit scents with Eau d’Issey, and it’s been working out well. It may just turn out to be right for you! Let us know how it turns out! Oh, thank you, thank you, thank you, B! It was that melon thang that killed this one for me – can’t abide, stand, bear the stuff. (I’d much rather eat it than breathe it! 😉 ) Which is a shame, because it IS…a tad strange. I read somewhere that this is Ellena’s ode to Kerala (one of my top-three travel destinations), and if that’s the case, that might explain the sheer – and it is! – overlay of…over-ripe? But even if it’s not for me, at least it’s not at all like anything else out there, and for that alone, I am very, very grateful! T, I would adore this were it not for the melon, but as it is it leaves me at least interested and engaged. Tee hee. I have a friend who is so averse to the smell of melons that it gives her goosebumps and makes her eyes water- she won’t even eat anything in that “family”- cucumbers, melons, watermelons etc. When I first smelled this a wicked part of me wanted to push a bottle in her direction. Shame on me!